Over the last couple of years, India’s Gross Savings Rate is showing a steady decline. In financial year 2015-2016, Indian households on average had savings rate of 31.6 percent, which dropped to 30 percent during fiscal 2016-2017, according to CEIC Data. There are several reasons for this slide. One is the sharp decline and stagnation in salaries paid by employers, since most companies in India are growing at slower pace than expected. Bulk of India’s domestic savings comes from salaries and wages. Secondly, there is a steady increase in loans of various kinds- from mobile phones bought on credit to home mortgage and vehicle finance. The decline in Gross Savings Rate may not sound significant to you as individual. However, you need to realize, GSR is calculated on basis of India’s population and considers various factors including physical savings, assets and liabilities. Thus, the impact on individual households, especially among salaried class, small and medium business persons is higher than on economically weaker segments of the society. Simply put, middle and higher income group will have more liabilities than savings and assets. Understandably, dropping savings rate is cause for concern amongst all. However, this is no reason to lose sleep. Instead, you can attain financial peace by following five simple steps. Before we explore these steps, remember one simple axiom: “Income minus savings equals expenses.” To attain financial peace, you need to put this system into practice. Surely, you would have clear understanding of your expenses. Let us therefore see ways and means to save and make you savings work to earn you more. Over the years, Systematic Investment Plans (SIPs) are emerging as favorite investment options among Indians. SIPs allow you to invest indirectly in mutual funds. Asset Management Companies (AMCs) offer SIPs of various kinds, equity linked, debt based, growth and wealth building to name a few. Over the years, most SIPs have shown excellent growth rates and are offering great returns to investors. Other than building wealth, earnings from SIPs also help defray or buffer any interests you may be paying on loans and mortgages. Investing in SIPs can also be done by direct debit through banks every month. Hence, the amount gets automatically saved and your money grows. • Pradhan Mantri Suraksha Bima Yojana or accident insurance available for just Rs. 12 per annum. It covers partial and total disability and death up to a maximum of Rs. 200,000. • Pradhan Mantri Jeevan Jyoti Bima Yojana: Life insurance that covers you for a maximum of Rs. 200,000 for an annual premium of only Rs.330. • Atal Pension Yojana and other products offered under the National Pension Scheme. You can avail these schemes at very low subscription rates. Though you may hold very high returns insurance policies and other investments, including these in your portfolio offers added financial peace. An important step towards attaining financial peace and freedom is to stay debt-free. Understandably, we all borrow money from banks and other lenders to finance anything from a smart-phone to expensive cars, electronics to holidays and homes. Credit, in modern life, has become somewhat inevitable. Some people are saddled with more than one loan. Most do not bother to calculate the amount of money they lose in form of interests charged by lenders, since they are deftly woven into Equated Monthly Installment. Here, you can save money where possible. Identify loans where you are paying large interests. Negotiate with the lender for a lower interest rate for paying higher EMIs. Stepping up EMIs works in three ways for your financial peace: you get rid of debts faster and save considerably on interest. This can be considered as a form of automatic savings too. Credit cards are the greatest threat to financial peace. Firstly, they subtly encourage you to buy more. Secondly, outstanding payments on credit cards attract blasphemous amounts as interest. Every amount carried forward on your credit card spend attracts hefty interest, which also reflects as outstanding. Higher the outstanding amount, greater is the interest you pay. Do not avail a credit card unless absolutely necessary. Should you possess one, settle the outstanding amount at the earliest to prevent future drain of your money. Further, settle the entire billed amount, leaving no scope for large interest to accumulate. And finally, spend on credit card only when inevitable. It is also worthwhile to remember, credit cards can actually damage your credit ratings, should you require finance for important ventures such as buying a house. For most Indians, a financial portfolio does not extend beyond Fixed and Term deposits at banks and one or two life insurance policies. In recent years, interest offered on conventional banking products are on decline. It is great to have life insurance but final payouts do not adequately justify the premiums. It is well known fact that insurance policies actually earn ‘negative’ interest- due to depreciation in purchase power of the Indian Rupee. The best way to have financial peace is create a portfolio that consists of various savings and investment products. These may include SIPs, Mutual Funds, stocks, pension schemes, a simple life insurance policy, government bonds and real estate. By far, stock markets are the best way to build wealth, provided you have adequate knowledge in the field. Another lucrative source for wealth building is the commodities market. A great financial portfolio generally consists of high, medium and low risk investment as well as hedge plans. Over the years, medical inflation in India has soared to as high as 30 percent, according to research conducted by a leading health insurance provider. While nobody can predict when a major ailment can strike, it is best to keep yourself physically fit by engaging in exercises and other fitness activities. They lower risks caused by sedentary lifestyle and can help you save considerable money on healthcare and medical services. Another step you can take towards financial peace is curtailing frivolous expenses that are rife nowadays. Indians spend billions of Rupees on mobile number recharges. Very often, long calls are unwarranted and you can save on these. Ditto with Direct-To-Home (DTH) satellite TV which comes with packages of channels you would barely view. Eliminate these costs where possible. However, the best way toward financial peace is to take a part time job from home. This means, you can spend some time daily doing online jobs that offer great payment. You can find enough part-time work by scouting any major website that provides freelance, online job on part-time basis. As we can see from the above steps, attaining financial peace is fairly simple and workable. Financial peace never comes merely by saving large amounts of money. It comes by making this money work hard for you to multiply wealth.  Nowadays, you can start building a financial portfolio with as low as Rs.2,000 per month, invested in various savings and other schemes that offer high returns. However, as mentioned earlier, astute setting goals is the key to achieve financial peace.